2018, 2016, 2014, 2013, 2012, 2009, 2008, 2007, 2005, 2000, 1997, 1996: Best of Tucson Winner or Runner-Up. For 30 years BICAS has been serving Central Tucson and surrounding communities. In 2017 BICAS purchased a new home with the support of the community and moved our shop to it’s current location, 2001 N. 7th Ave.
Over 10,000 customers served in our community bike shop each year. 293 bikes were earned through our Earn-a-Bike Program in 2017. 419 individuals, including 167 youth, completed 4,454 hours of community service at BICAS in 2017. Over 5,500 hours of work-trade are traded for bicycles and services each year. Over 400 Youth use our services each year. BICAS currently employs 13 people. 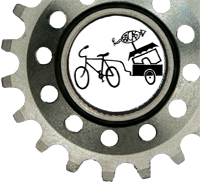 We are one of the oldest community bike projects, still in existence, in the United States. Boston’s Bikes Not Bombs and New York’s Time’s Up started working on domestic projects in the late 1980s, and BICAS (at the time called Bootstraps) started bicycle projects in Tucson in 1989. We provide affordable transportation options and resources for everyone. Youth can develop skills and training through our Earn-A-Bike Program and work trade and community service opportunities. In 2017 we re-launched our Youth Earn-A-Bike and Youth Drop-in Programs to increase opportunities to youth! BICAS contributes to the vibrant art culture and community festivities for which Downtown Tucson is known. We have collaborated with a diverse group of community organizations such as: El Grupo, City High School, Davis Elementary, ACE Charter, Los Amigos, John Valenzuela Youth Center, EON Youth/SAAF, Khalsa Middle School, Iron Horse Neighborhood, Dunbar Spring Community Garden, All Souls Procession, Parade of Lights, Ghost Bike Project, Tucson Homeless Connect, etc. BICAS is known as a leader among community bicycle organizations, both nationally and internationally.